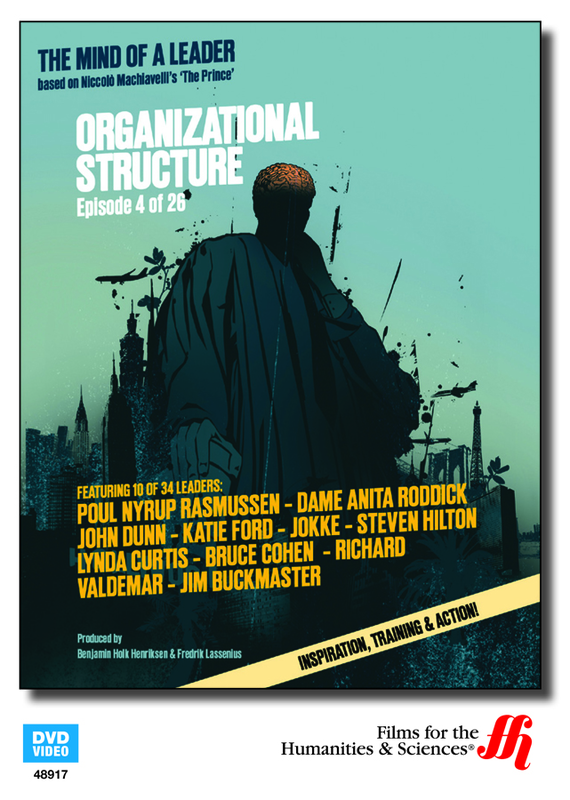 Business leaders offer perspective on the importance of organizational structure, the many forms it takes, and its applicability beyond just the business world. The concept of developing an organizational structure is not a new one. Niccolo Machiavelli claimed in his book, The Prince, that it was this structure that prevented the Persians from revolting against the empire created by Alexander the Great, despite Alexander's death and their conquest by the empire. This film takes this age-old concept and looks at it through the modern lens. Interviews with business leaders provide their perspective on organizational structure in the business world. Some views are demonstrated through business world comparisons, such as a top-down structure to a flat structure. This DVD has a run time of 28 minutes and is closed captioned for the hearing impaired.